Wreckfish live in temperate waters at depths of about 1000m. The fishery off the US east coast expanded rapidly in 1987 but then decreased after regulations were put in place in 1990. 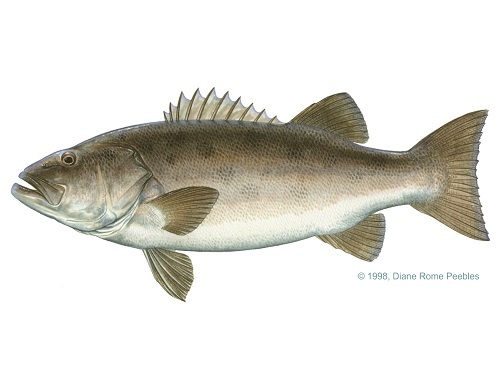 Management of this fishery has been strong since 1990 and is considered highly effective. Implemented measures include; an ITQ system, seasonal closures and gear specifications. Wreckfish catches are sold directly to restaurants or consumers in the domestic market and are not exported to other countries. US caught wreckfish would not be found in Canada. This fishery does have some interaction with sea turtles, however they are rare and overlap is thought to be minimal since the zones are too deep for sea turtles. Bycatch is not a serious concern for wreckfish fisheries that use hydraulic hook-and-line. Habitat damage is not a major concern for this harvest method.